This post was first published by Croydon Advertiser on 03/07/2018. There have been renewed calls for its parent company Govia Thameslink Railway to be stripped of its franchise. 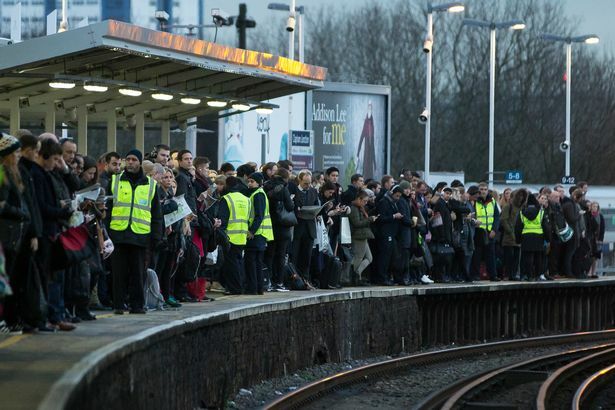 The Government will be ready to temporarily renationalise Govia Thameslink Railway (GTR) services – which include Southern Rail and Thameslink trains through Croydon – if needed, according to the rail minister. Jo Johnson told MPs a review is ongoing and Transport Secretary Chris Grayling will have the full range of options available to him if GTR is found to have been “negligent”. MPs urged Mr Johnson to strip franchises from GTR amid timetable chaos, with the minister also accused of appearing “too relaxed”. Replying to Liberal Democrat MP for Carshalton and Wallington Tom Brake’s calls to “sack” GTR, Mr Johnson said: “The Secretary of State has been clear he is leaving all options on the table should GTR be found to have been negligent. “He is clear that the operator of last resort will be ready to step in should that turn out to be the case. Conservative former minister Nick Herbert said: “We are now into week seven of this Thameslink timetable shambles and there is no sign of the service getting better. Croydon South’s Tory MP Chris Philp said the timetable “fiasco” is the latest instalment in GTR’s “record of failure”. Labour’s Joan Ryan (Enfield North) added: “On July 15 we get our third timetable in two months – this cannot be acceptable. Mr Johnson said the Government is urgently working on improving GTR’s performance. Conservative Maria Caulfield (Lewes) criticised the “disaster” of the timetable roll-out, saying: “I don’t seem to sense a sense of urgency from the minister about what a devastating impact this is having on my constituents. “Three hours to travel 50 miles home last night and three out of the first seven trains cancelled this morning. Mr Johnson replied: “We are looking at this as an absolute matter of urgency within the department – it is our top priority to ensure the unacceptable levels of services come to an end and passengers get the standard of rail that they have every right to expect. *We would like to hear your own experiences of how the Southern and Thameslink timetable changes – and the train service in general – have affected your lives. Share your experiences by emailing newsdesk@croydonadvertiser.co.uk or sending a message to the Croydon Advertiser Facebook page.